We all know about new year’s resolutions. We resolve to lose weight, quit smoking or take more exercise and within a short space of time, the impetus leaves us. This can feel like failure. Why set ourselves up for failure? It doesn’t need to be like that. 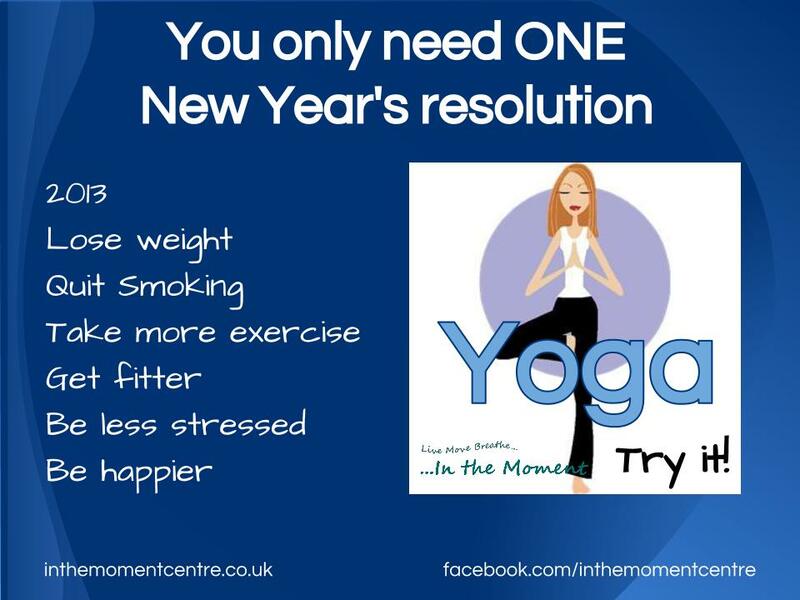 At In the Moment, our Yoga classes start back on Monday 7th January. Our skilled and compassionate teachers will give you all the support you need to discover that you only need ONE New year’s resolution this year! And if your body prefers to move in other ways, then the following week we have a full schedule of movement classes including Tai Chi, Biodanza and Five Rhythms Dance.